The Cheltenham Area Group (CAG) consists generally, but not exclusively, of volunteers drawn from the Cheltenham locality. The purpose of the group is to maintain the Cheltenham Race Course Station environs and, where the technical capability exists, assist other departments of the railway in the installation, maintenance and enhancement of specific operational support facilities such as lighting, telephone communications and security systems. Members of the CAG support the GWR in many operational roles (Station Masters, Porters, TTIs etc.) and non-operational roles (Cheltenham GWR Shop, etc. ), these duties will be covered by the web pages for these departments. When available the Group also provides resources to assist other aspects of the operation of the railway during special events at Cheltenham Racecourse Station (car parking, crossing monitors, etc.). Maintaining and enhancing the station security systems. Maintaining tidy boundaries between the GWR and Cheltenham racecourse property. Running meetings to support fund raising and provide a means of connecting the GWR with the local community thus raising its public profile and reducing the need for GWSR PLc funding. Ensuring rubbish and unwanted resources are disposed of from the station environs. Keeping paths and platform 1 clear of pine needles, weeds and fallen debris. Maintaining and painting the interior of the ticket office and platform 1 building. 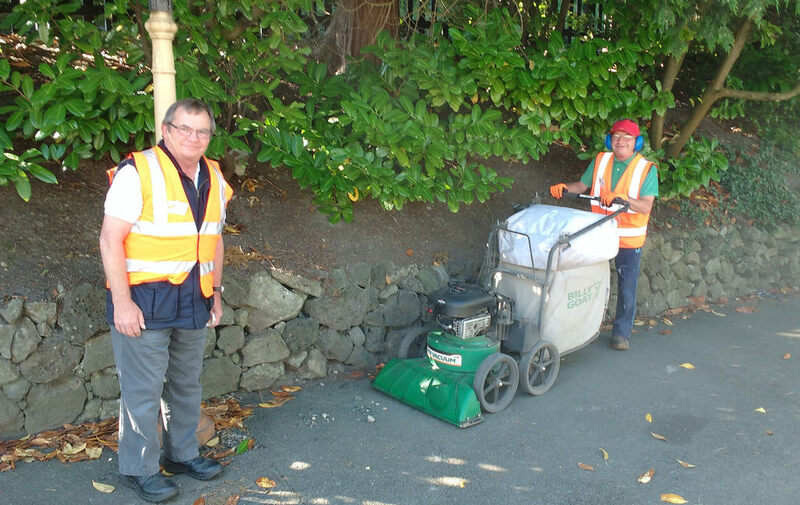 Regular clearance of litter and rubbish from boundary fencing and from grassed areas in front of the station. Repairing boundary fencing where and when this becomes damaged. Disposal and removal from site of all items during the non-running and running seasons. Assistance to station rostered staff with disposal of items during the running season. A list of outstanding station estate tasks is maintained on the whiteboard in the Ticket Office workers' room. Volunteers normally meet on Saturday mornings and Monday afternoons. However, as most of the tasks are outdoors, on very wet days external work may have to be limited or suspended. Every volunteer is required to provide his/her own Personal Safety Equipment (PSE). For most tasks this includes safety footwear, work gloves and High Visibility tabard or overcoat. For some tasks goggles and or safety helmets and ear defenders may be required. These are provided by the Group. DIY tea and coffee is provided free to volunteers. Membership of the Cheltenham Area Group is open to any current member of the GWR Trust. There are NO additional fees. This department are looking for two volunteers with painting skills. Please see here to learn how to become a volunteer.